Grey Lynn is officially fruit fly free! I celebrated by going to the Grey Lynn Farmers Market for the first time. It is a quaint little market in the community hall, and has a real community feel to it, because it is community owned and operated (have I said community enough?)! The first thing that caught my eye was the recycling/reuse swap table. You can bring in any unwanted plastics, glass jars, egg cartons and seedling trays, or you can take any from the pile. What an awesome idea, especially for someone like myself who is always after more glass jars. 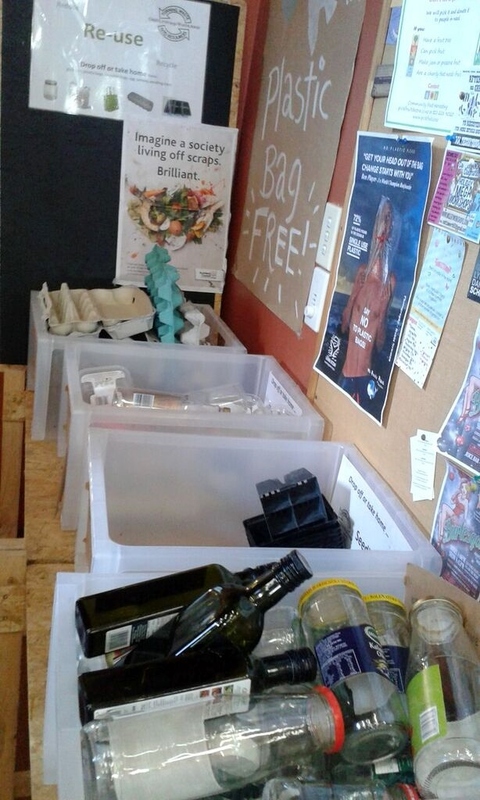 This is run by Grey Lynn 2030 Waste Away, who sell Ideal Cups and Rethink reusable bags. The other cool thing about this market is they are plastic bag free! This was implemented a few months ago, and seems to be going really well. 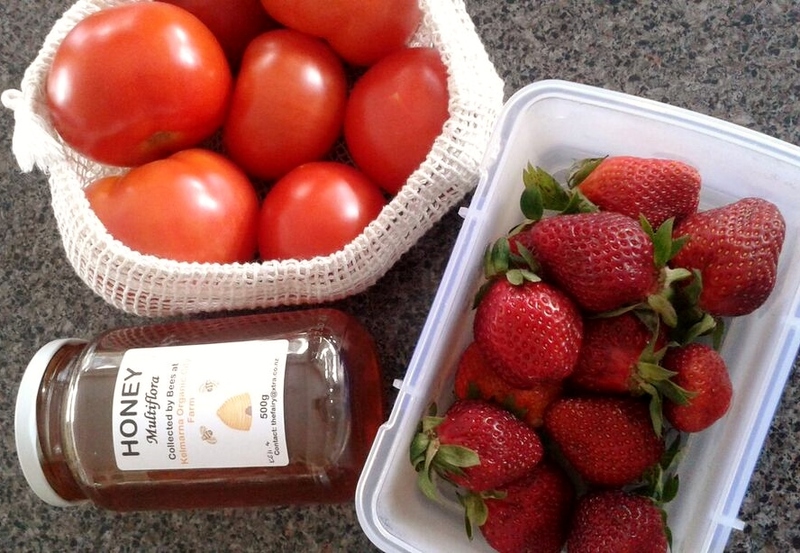 I picked up some local honey (in glass), some baked goods, fruit and veges and strawberries. The strawberries were in plastic punnets so I asked if I can pour them in to my container and if they will reuse the punnet, the vendor said yes, they try and reuse most of their plastic containers and encourage people to bring their own. They were also selling other fruit and veges such as tomatoes in reused plastic containers, which most people opted to empty in to their bags and pass the container back. 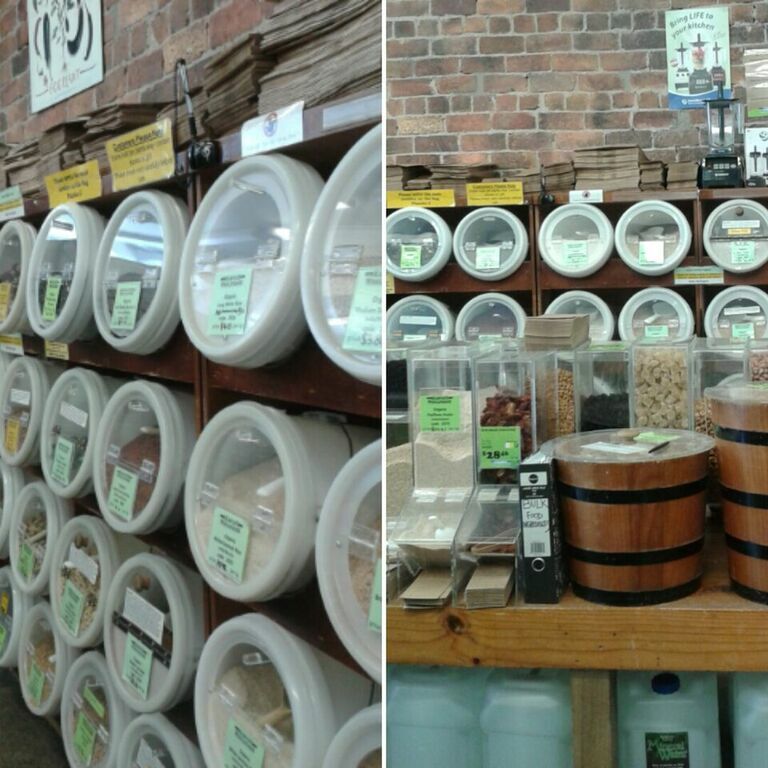 Next stop was Harvest Wholefoods, which had an impressive bulk bin section with paper bags. Slightly further down the road is Farro Fresh. I picked up a few plastic free items, including a Chai latte in my Keep Cup and and got a 5 cent credit for bringing my own reusable bag. Farro Fresh charges for plastic bags and credits for every reusable bag you use, what a cool initiative! The last stop on my gourmet food crawl was Little Bird Organics Unbakery in Ponsonby. I had a BLT bagel, where the B was vegan coconut bacon. It tasted amazing, this is coming from someone who hates bacon. I’m going to attempt to make some soon. I was impressed to see all of their “plastic” cups and utensils were actually compostable, which I have been noticing a lot lately- hooray! A successful and tasty day for sure!